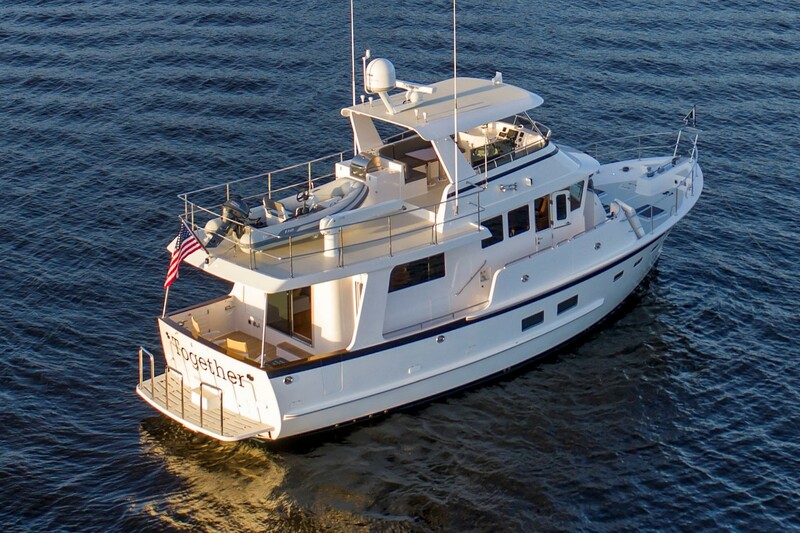 Enjoy this month's issue with news and notes from Kadey-Krogen Yachts. 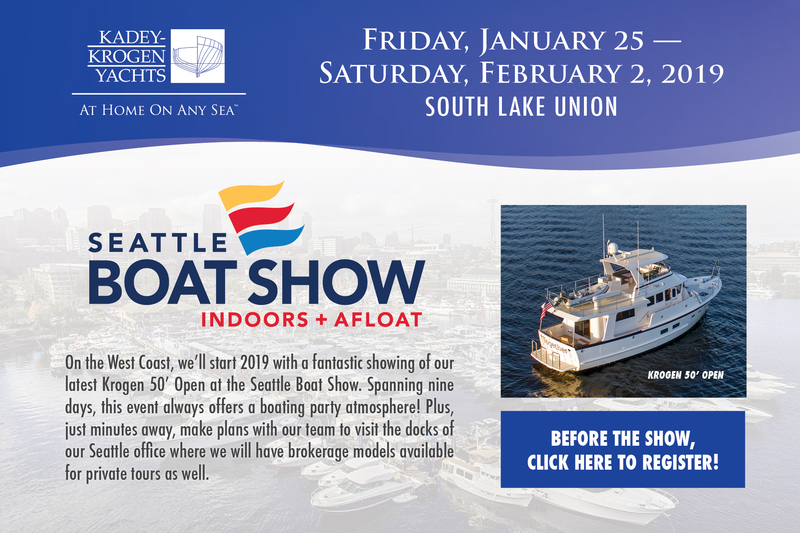 On the West Coast, we're starting 2019 with the chance to see our latest Krogen 50' Open at the Seattle Boat Show. Spanning nine days, this event offers the best in PNW boating. Plus, just minutes away, make plans with our team to visit the docks of our Seattle office, where we will have brokerage boats available for private tours. 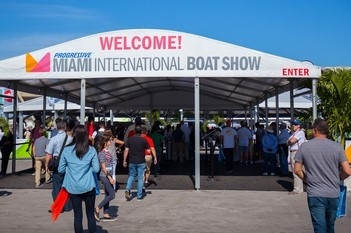 Step into some sunshine and find us at the Miami International Boat Show at the Miami Marine Stadium at Virginia Key, February 14 – 18. 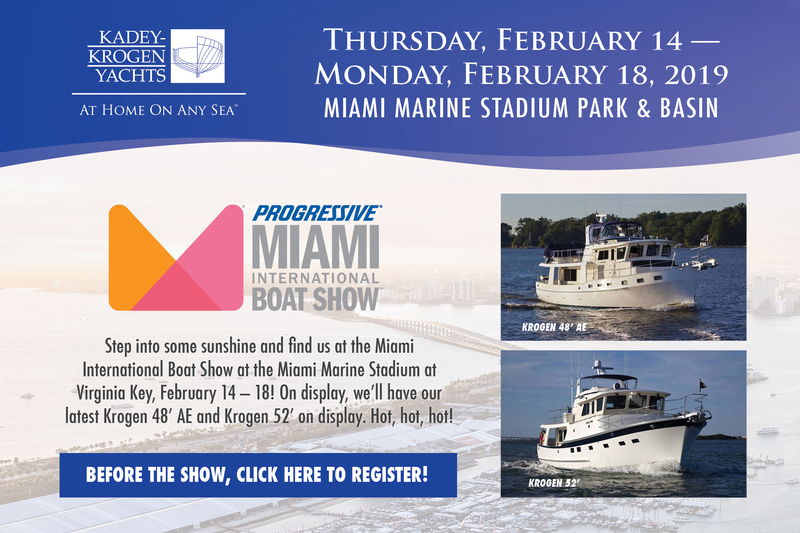 On display, we’ll have our latest Krogen 48' AE and Krogen 52'. Hot, hot, hot! Please register to see us so we can make the most of your visit. We will follow-up prior to the boat show. 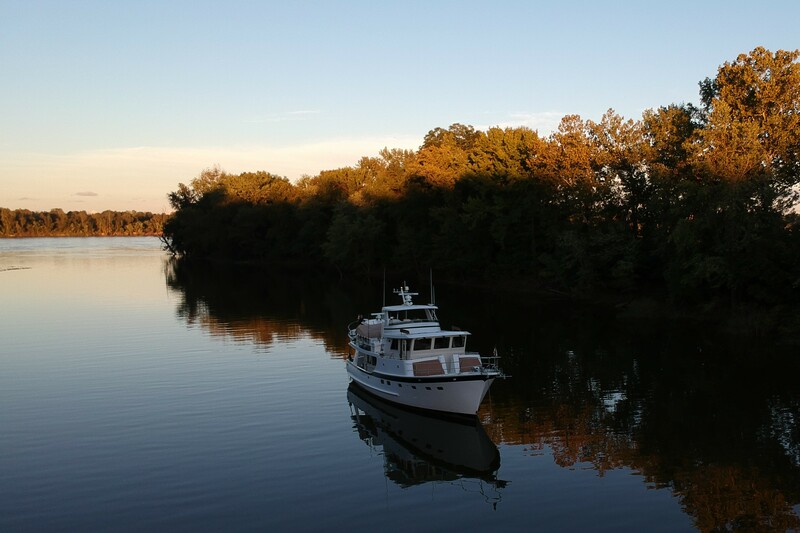 Headed south for the season, aboard their Krogen 58' Miller Time, Scott and Teri Miller discuss the trials and triumphs of relocating for the winter while maintaining full-time work. 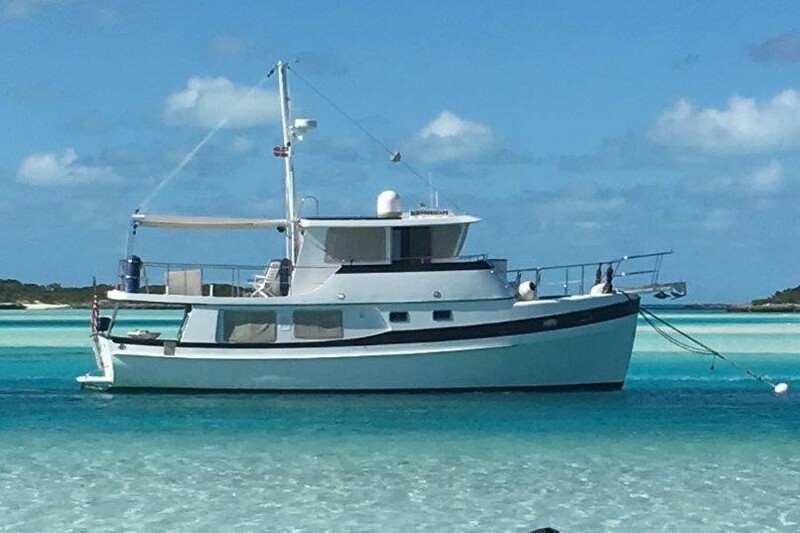 With nearly 30 years of boating experience, finding their Kadey-Krogen two years ago has put their live-aboard and cruising plans in motion. 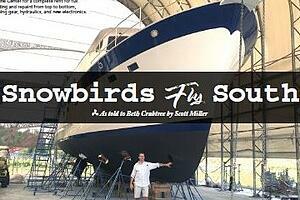 Read "Snowbirds Fly South," as told to Beth Crabtree, editor of PropTalk magazine. In every 2019 issue of Yachting magazine, look for two new ads from Kadey-Krogen Yachts. First, a brand message about our line of ocean-going yachts, and second, a "perfect day" story by an owner. Kind of like describing a “perfect date,” ideal perfect days are different for everyone. However, no matter the differences, a Kadey-Krogen helps guarantee life aboard is a success. Learn more about the new campaign! 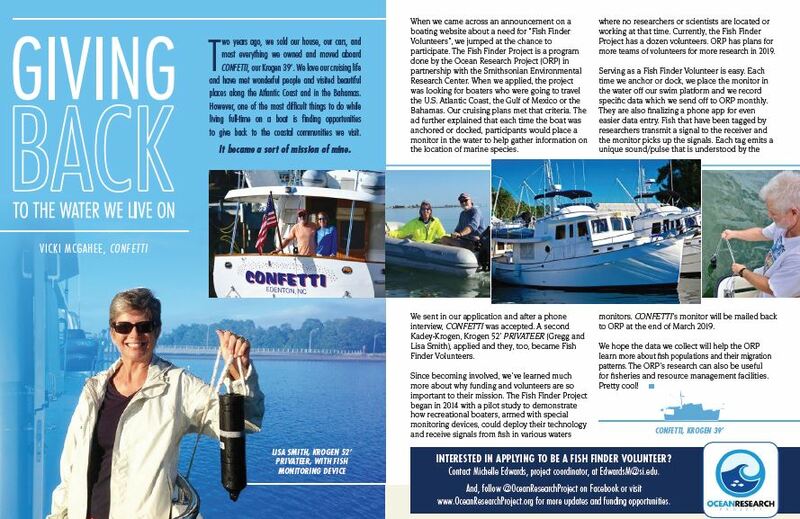 Vicki McGahee and her husband, Mac, are full-time live-aboards on their Krogen 39' CONFETTI, and recently made it their mission to find ways to give back to the coastal communities and waters in which they live. Not always an easy thing to do when you are living the cruising life! and receive signals from fish in various waters where no researchers or scientists are located or working. Currently, the Fish Finder Project has a dozen volunteers and plans for more teams for more research. 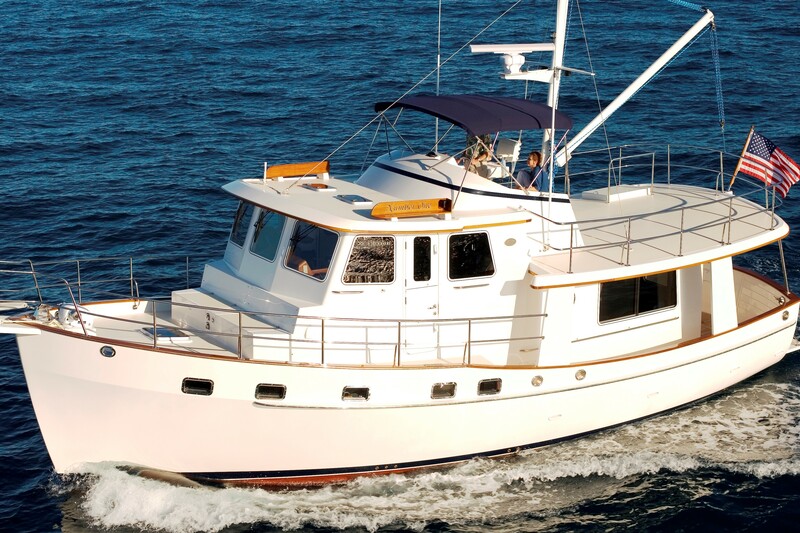 Thank you for your interest in Kadey-Krogen Yachts! browsing our boats and cruising news. 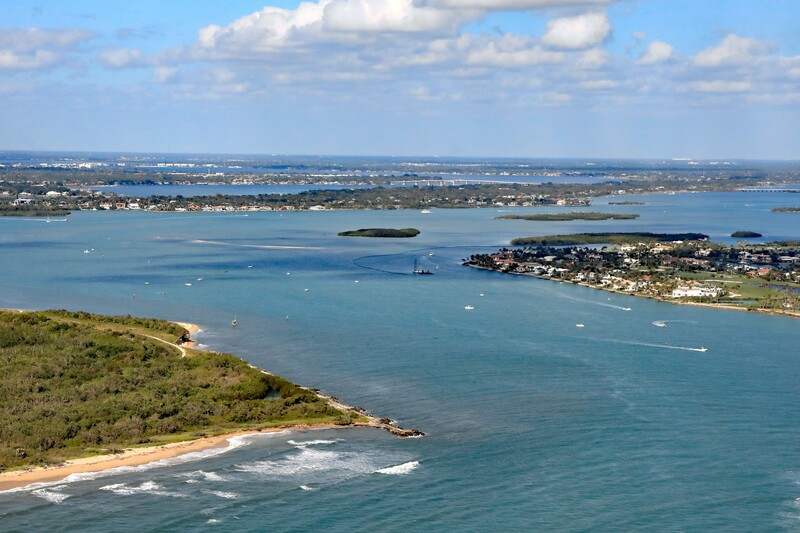 You received this email because you are subscribed to NAVAID from Kadey-Krogen Yachts.